It was a celebration of spring, and the art of the waffle in Lindsborg on Saturday. Visitors strolled through the downtown area enjoying the sights, sounds, and smells of Våffeldagen. The event featured hot waffles, waffle-y savories and sweets, waffle games, and waffle photo ops around the town. Våffeldagen truly was all things waffles. 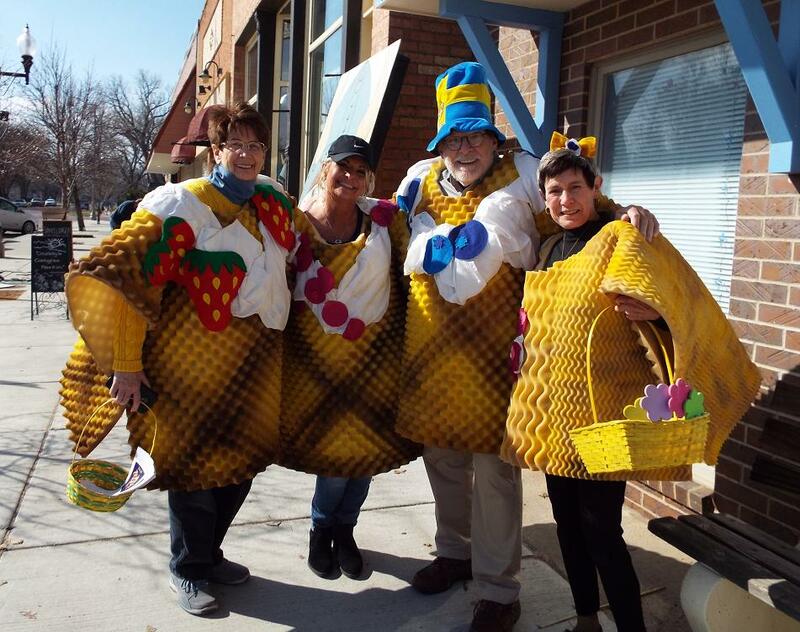 Local residents dress in waffle costumes, roaming the streets and sidewalks of the downtown area. Why waffles? 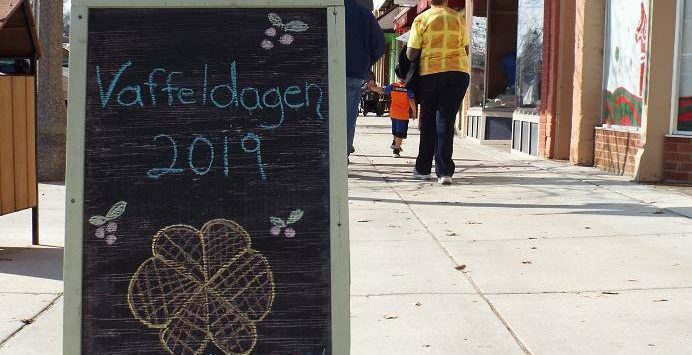 According to the Lindsborg Convention and Visitors Bureau,literally translated from Swedish, våffeldagen means waffle day. The word sounds a lot like the Swedish word vårfrudagen, which refers to the Annunciation, a Christian holiday marking the nine-month mark before the birth of Jesus. Because of misunderstandings and mispronunciations over many hundreds of years, the humble waffle became Sweden’s and much of Europe’s symbol of spring and renewal. This was the ninth year of the celebration of all things waffle, or Våffeldagen, in the Kansas community known as “Little Sweden”.